Here in Canada, today is the first day of spring although it isn't very spring like here in Thunder Bay, Ontario I tell ya. Our snow was almost gone, we had days where it was warm enough that a spring jacket was all you needed, but Mother Nature was fooling with us. We got a huge dumping of snow this past Wednesday. Ugh.....enough already!!! 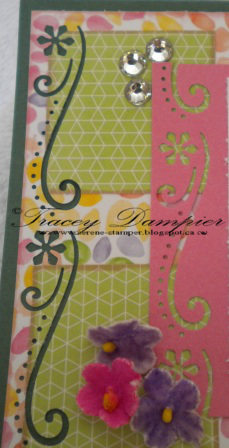 I used 2 different types of embossing on my card. I used an embossing folder on the background and I heat embossed the sentiment. 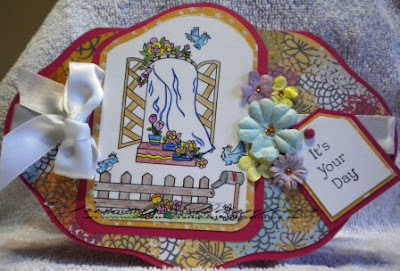 Thank you for popping by to see my card. I hope you will have a look at the gorgeous creations from my teammates too. It's time for a new challenge at One Stitch At A Time. For the next 2 weeks, my teamies and I are playing with Fancy Borders. 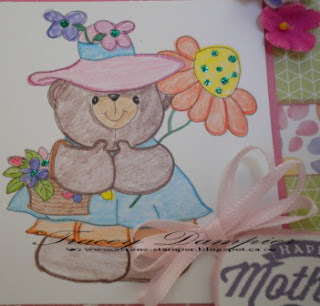 For our Challenge #257 - Anything Goes With Fancy Borders, I took the opportunity to get one of my Mother's Day cards ready. 2) You must link to our challenge blog. 3) No backlinking, you project must be a new project, blogged after our challenge goes live. Want to know what you can win if you enter our challenge? 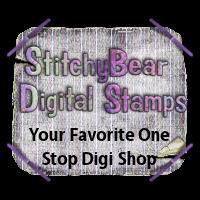 The Sponsor for this challenge is StitchyBear Digi Outlet with a $10 coupon to spend in our store. 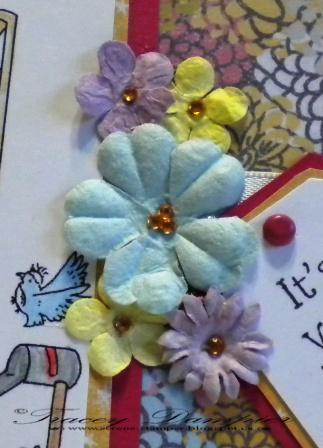 Close-up of my fancy borders. 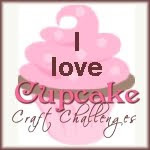 I hope you will join in our challenge this week. 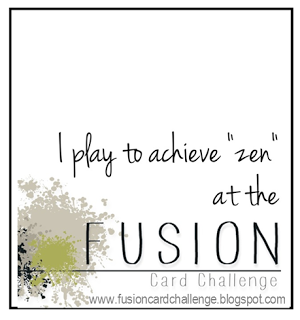 We would all love to see how you interpret our current challenge. Thanks so much for popping by to say hello. 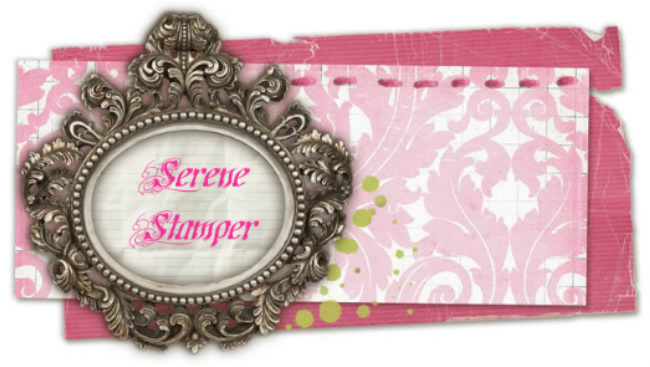 I hope you will take the time to pop by my teamies blogs and leave them some love. |Thanks so much for visiting. 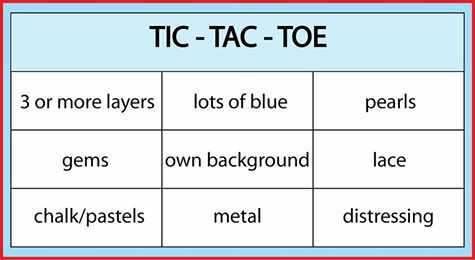 It's time for a new challenge at One Stitch At A Time and it is Tic Tac Toe! 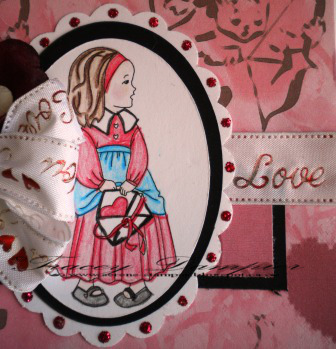 I chose to use the right-hand column for my card; Pearls, Lace and Distressing. 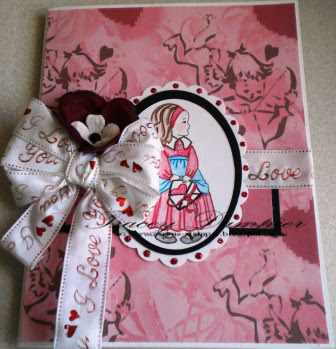 I will be back in a bit with the list of supplies I used and to link my card to a few challenges. 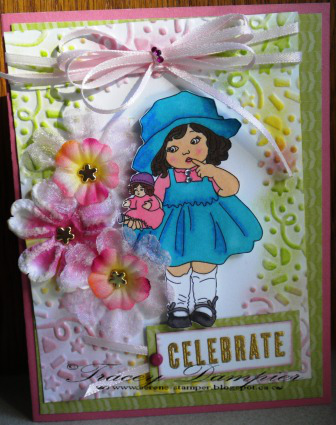 Patterned Paper: Pebbles "Garden Party"
Thanks for stopping by today. 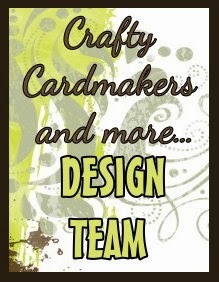 I hope you visit my design team sisters and leave them some love. #109 - This is a Man's World. 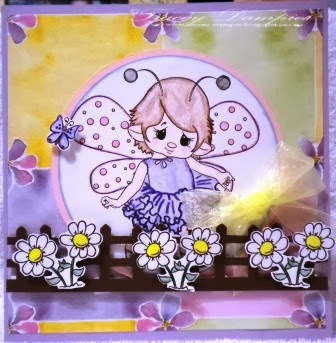 I was one of the lucky DT members who received an image from one of our sponsors, The Stamping Boutique, who is giving away 3 Images of the Winner's Choice. 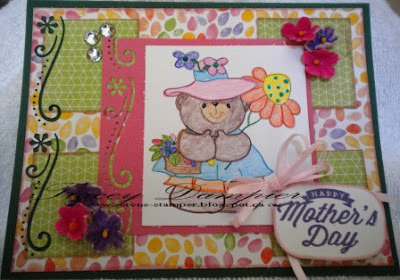 If, however, the winner has used a Stamping Boutique Image they will received 4 images of their choice. 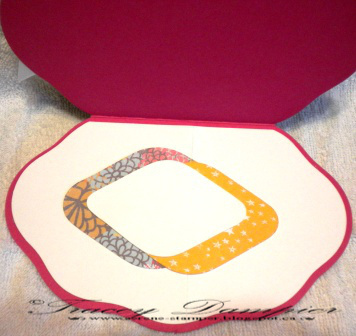 We are also sponsored by Flourish With a Bling with a $15.00 gift certificate. 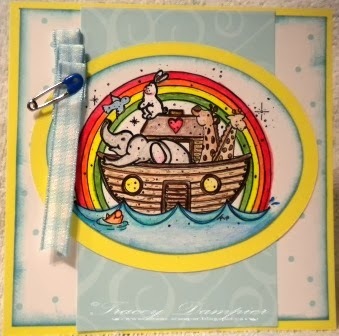 Image: The Stamping Boutique - "Noah's Ark"
Please stop by all my DT sisters blogs and have a look at their awesome creations for this challenge. It's Sunday morning and that means its time for another challenge to start at One Stitch At A Time. This week we have #198 - Anything Goes. 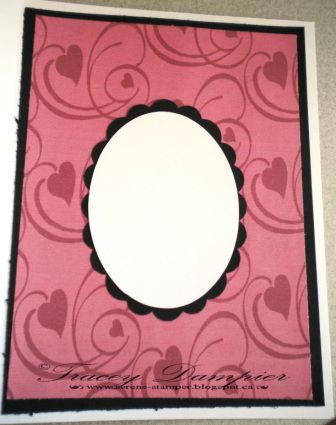 One lucky entrant using one of our images, will win all the images the DT used in Challenge #196. 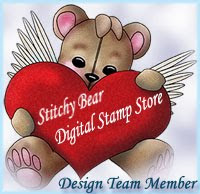 And, one entrant with a non Stitchy Bear Digital Outlet image will win a $3.00 gift certificate to our store. 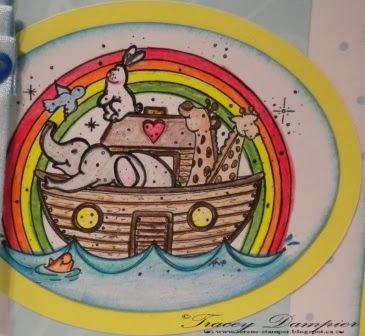 My team mate picked this fabulous set of images for us to use. Isn't she a cutie! It has been a long day and I've been fighting a migraine for a few days now. I'm going to have to come back to finish my post. See you again in a bit. Hi! 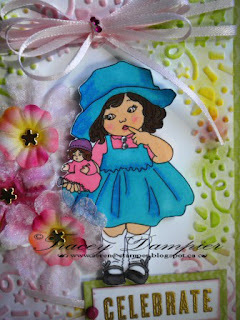 My name is Tracey and I live in Thunder Bay, Ontario. Thanks for coming to check out my blog :) I have been happily married to my high school sweetheart for 26 years. We have 2 children; Christopher, 28 years old and Jennifer, 26 years old. We also have a 4 year old grand-daughter and 9 month old grandson. They are my pot of gold at the end of the rainbow. 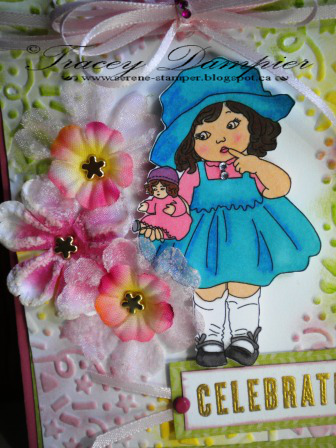 I first caught the scrapbooking bug in 2000 and have been hopelessly addicted to it ever since. I especially love to use flowers, ribbon and lace. I am also a Close To My Heart Demonstrator, and I just love this stamping company. 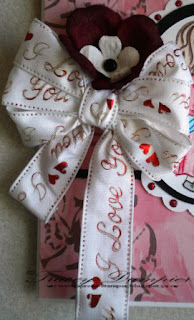 Thankfully, my husband is a very understanding man who encourages me to spend time working on this craft. 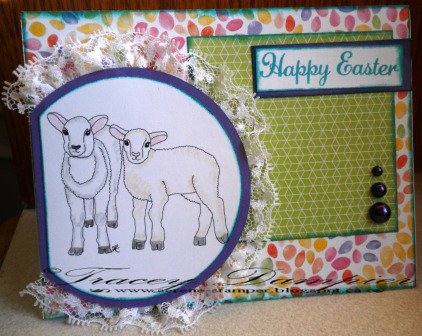 I have also began making cards and using stamps on my projects as well as trying out some sewing on my layouts. When you have a moment, feel free to stop and say 'Hello'. See you later! 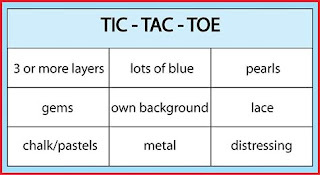 TRCC: Challenge #4: One Week Reminder!